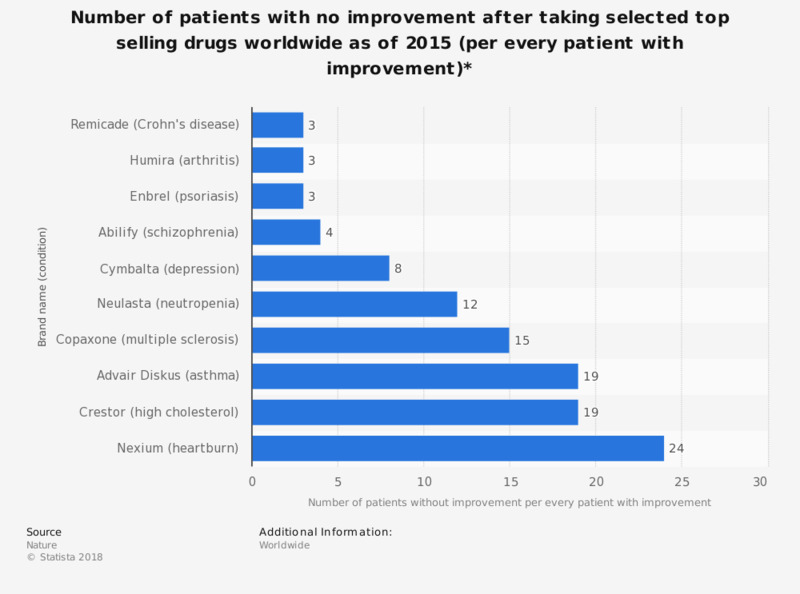 This statistic describes the number of patients with no improvement after taking selected top selling drugs worldwide, as of 2015, per every patient with improvement. For example, for every person heartburn medicine Nexium does help, at the same time it fails to improve the condition for 24 other people taking this drug. The inefficiency of many drugs is one major argument for developing personalized or precision medicines. * Based on published number needed to treat (NNT) figures. Everything On "Personalized medicine" in One Document: Edited and Divided into Handy Chapters. Including Detailed References.